Home ASIA Why does India want CBMs surrounding Pakistan’s naval developments? 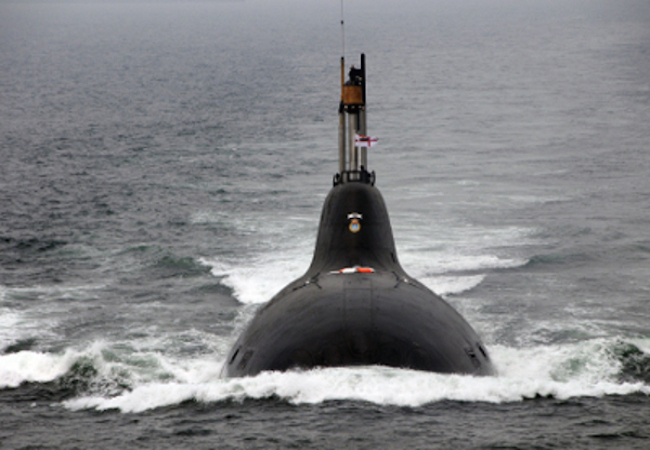 In 2017, India tested its Submarine Launched Ballistic Missile (SLBM) from a nuclear powered submarine. India did not realize that the move had somehow destabilized the region, it did not feel guilty of taking the war into the Indian Ocean, and it did not hear anything over the triumph of completing the nuclear triad. A full year later, Pakistan successfully tested its Submarine Launched Cruise Missile (SLCM) from a diesel powered submarine and suddenly the whole debate of a nuclear race came into existence. Suddenly the regional security and stability had been destabilized, the Indian Ocean was somehow put to risk and Pakistan’s completion of nuclear triad was labelled as an attempt at fueling the nuclear race. India claims that its activities in the Indian Ocean are aimed at deterring the Chinese threat which is why the Pakistani responses are pointless. However, one may think that whoever India might be trying to counter, the very action of stepping into the Indian Ocean and expanding the nuclear capabilities, is a threat to the whole region. India needs to realize that since it initiated the nuclearization wave, any response coming in after that is a mere defensive step and nothing else. Pakistan is absolutely right to achieve the nuclear capability because it does not matter what the strategy behind developing the capability is, what matters is that when the adversary develops such a capability, one has to follow suit. Staying at equal levels in terms of the nuclear arsenal is vital for Pakistan considering its inherent lag in the conventional arena. Now that the developments regarding naval nuclear capabilities have been made, our Indian neighbors seem eager to develop confidence building measures regarding these. There is a technical reason behind this. The SLCM launch by Pakistan was made from a diesel powered submarine with AIP technology unlike the Indian SLBM launch that was carried out from a nuclear powered submarine. The diesel powered submarine falls under the conventional arsenal and since it is being mixed up with strategic weapons, this is what scares India as it argues that the nuclear threshold is being brought down and the difference between conventional warfare and nuclear warfare is being blurred. Pakistan’s ambiguous approach and maneuvering tactics have always been a bit of a challenge for India and this is a mere addition to that. India believes that even if a submarine is not carrying any strategic weapons it could still be destabilizing for the region. This has led India to talk about the possibility of CBM’s. What it doesn’t understand is that this is simple psychological warfare which is present between states in times of war and peace. Pakistan is well aware of the importance of maintaining stability in the region which is why the state has made the move with clarity. However it is not the state’s concerns what scares the adversary or puts them in a skeptical mindset. If anything this confusion from the Indian side works well for Pakistan. The old conventional imbalance between India and Pakistan is no secret which is why it is important for Pakistan to resort to such tactics for its own security. However, Pakistan has always been eager to have peace in the region and believes that if India wants to go for CBM’s then there is no harm in it. Proliferation and a nuclear race is not on Pakistan’s agenda and if the India wants to take steps to ensure that then it can be done provided India stays true to the CBMs and not surpass them. Agreeing to have CBMs does not mean that Pakistan will let India in on strategic planning. There are certain things that India will have to deal with on its own including the idea that Pakistan can and will take steps for its defense and there is no rule that prohibits the amalgamation of conventional and nuclear warfare. If that scar India then so be it.